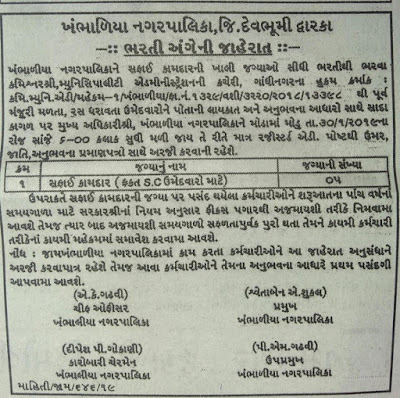 A Gujarat government advertisement in Gujarati for appointing four sanitation workers in Khambhaliya municipality in Devbhumi Dwarka district of Saurashtra region has said that only scheduled caste (SC), popularly Dalit, candidates should apply for the fixed pay job. The advertisement, signed by top local body officials, has created furor among Dalit rights activists, who wonder whether the state government believes sanitation work is meant only for Dalits. 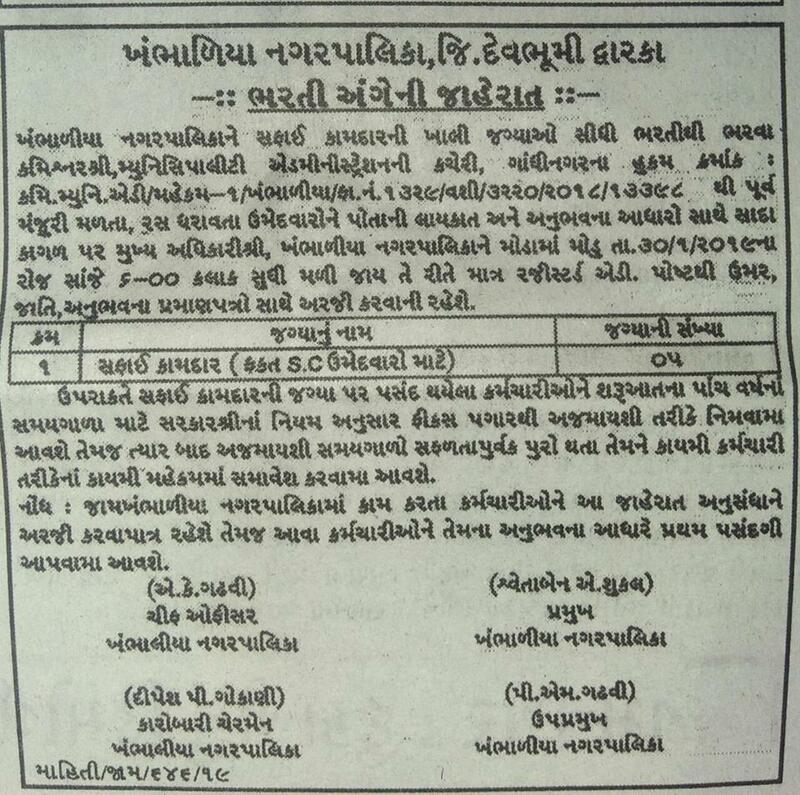 In a Facebook post, well-known Dalit rights activist from Ahmedabad, Kirit Rathod, citing the advertisement, has said, "Prime Minister Narendra Modi has just reserved 10% seats in government jobs for the economically weaker sections belonging to the dominant castes. Why is Gujarat government shying away from the 10% criterion bypassed here? It seems, the state government believes, cleaning gutters is the job that only Dalits should do."